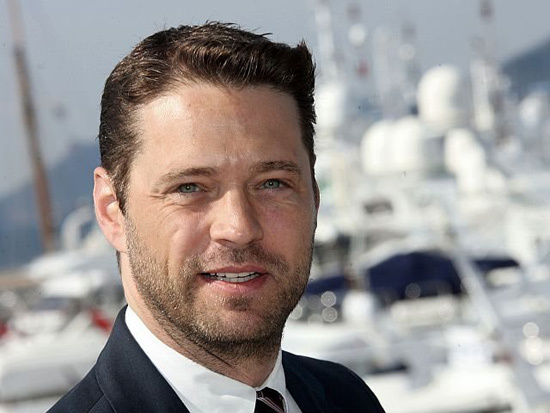 Now in his third decade as a professional performer, Jason Priestley continues to be one of the most versatile talents in the entertainment business both in front of and behind the camera. 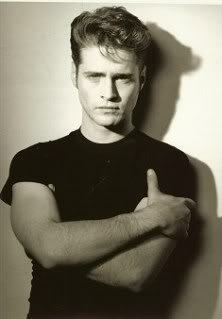 In “Call Me Fitz,” he not only stars in the lead role of Richard Fitzpatrick, but he also produces and directs the series. Produced for HBO Canada, “Call Me Fitz “ is already a huge success with critics and audiences there and around the world. Priestley, and the show have garnered numerous nominations at festivals and award shows, including 16 Gemini’s and 3 Canadian Comedy Awards. Priestley won the Best Actor Award at the prestigious Roma Fiction Fest in 2010. 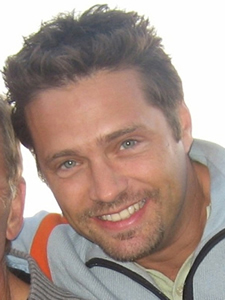 Priestley also directed the romantic comedy “Dear Santa” starring Amy Acker, David Hayden Jones and Gina Holden. This past summer, 2010, Priestley reunited with former “Beverly Hills 90210” co-star Luke Perry to direct the Hallmark Movie Channel Original “Goodnight for Justice.” The made-for-TV Western was penned by Perry and filmed in Vancouver. The film delivered the highest ratings ever on The Hallmark Movie Network. Other recent projects include the feature film “The Last Rights of Ransom Pride” where Priestley starred alongside Kris Kristopherson, Dwight Yokum, Scott Speedman and Lizzy Kaplan, and the BBC’s modern-day remake of the Sci-Fi thriller “The Day of the Triffid” starring Dougray Scott, Vanessa Redgrave, Brian Cox and Eddie Izzard. Behind the camera, Priestley has directed numerous episodes of ABC Family’s hit series “The Secret Life of the American Teenager,” including the season finale, and directed an eight-part reality series for the Great American Country Network called “The Road Hammers.” Shot in Nashville, the series follows a country band in its quest to break into the ultra competitive world of country music. Other directing credits are “90210,” “The Other Woman” based on the Joy Fielding novel for the Lifetime Network and the web series “The Lake” for WB.com. Based on Rolling Stone article by Jesse Hyde, Priestley is developing the feature film “Death of a Freerider.” The film is based on the tragic true story of Sam Brown, a young Canadian mountain biker who got caught up in the world of international drug smuggling. Priestley is a native of Vancouver, British Columbia and currently resides in Los Angeles.